The price of Oppo F9 Pro has been reduced once again. Oppo F9 Pro has been cheaper for the third time after launch in India. After the previous cut, Oppo F9 Pro was priced at Rs 19,990. Now it can be b. The price of Oppo F9 Pro has been reduced once again. Oppo F9 Pro has been cheaper for the third time after launch in India. After the previous cut, Oppo F9 Pro was priced at Rs 19,990. Now it can be bought at Rs 2,000 in cheaply. Now the price of this phone has been Rs 17,990. Please tell us that the handset is available at the new price at Amazon.in, Flipkart and Paytm Mall. Remember that Oppo F9 Pro was launched in August last year. Talking about the key features, this phone will come with WaterDrive display noch, 25 megapixel selfie cameras, Google lens support and VOOC Fast charging support. Let&apos;s say that this phone upgrade was introduced in Oppo F11 Pro in the last month of India. Oppo F9 Pro is being sold at Amazon India, Flipkart and Petty M Mall for Rs 17,990. This means that the company has cut the price by Rs 2,000. After the last cut price, the price of Oppo F9 Pro was Rs 19,990. Mumbai&apos;s renowned retailer Mahesh Telekom has claimed that the cut in price has also happened to the offline platform. Gadgets 360 has contacted OPO India in this regard. The phone has been made available in Stary Purple, Twilight Blue and Sunrise Red Color. Oppo launched Oppo F9 Pro for Rs 23,990. After this, the price decreased by Rs 2,000 to Rs 21,990 in December. In February, the company once again decided to reduce the price of the handset. After this, the phone costs Rs 19,990. This means that the phone has been cheap at Rs 6,000. 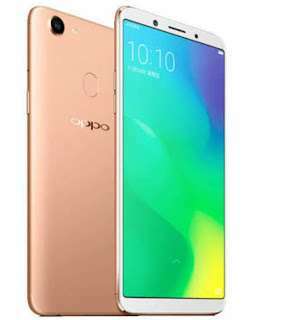 Dual SIM Oppo F9 Pro runs on Android OS 8.1 based on ColorOs 5.2. The smartphone will have a 6.3-inch full-HD + (2340x1080 pixels) display, with 19.5: 9 aspect ratios. The smartphone has the MediaTek Helio P60 Octa-core processor. 64 GB / 128GB storage with 6 GB RAM. Apart from this, both Variants also have support for MicroSD card upto 256 GB. The phone has 16 megapixel primary sensor with F / 1.8 aperture on the back. Secondary sensor is 2 megapixels, whose incarnation is F / 2.4. And LED flash is also given. The front panel has a 25-megapixel camera with F / 2.0 aperture. Oppo F9 will have a battery of 3500 mAh with Wake Flash Charging. The connectivity features include 4G VoLTE, Wi-Fi 802.11 AC, Bluetooth 4.2 and GPS. The dimensions of the smartphone are 156.7x74x7.9 millimeters and weighing 169 grams.